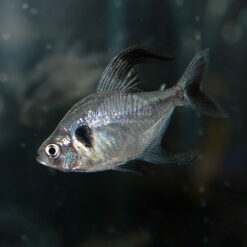 This is one of the more unusual tetras I’ve come across. 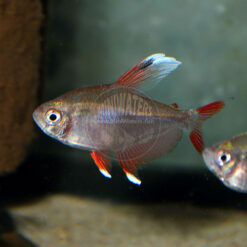 Purchased as the ‘Kitty Tetra’, it became apparent that these were definitely not Kitty Tetras. 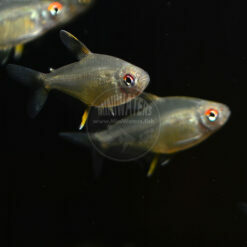 As they fish settled in and grew, it was realized they were in fact the Veilfin Tetra, Hyphessobrycon elachys. 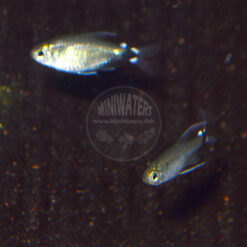 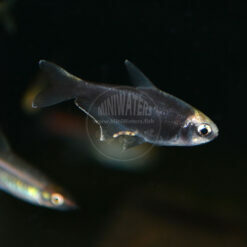 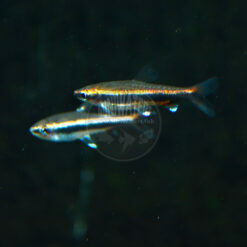 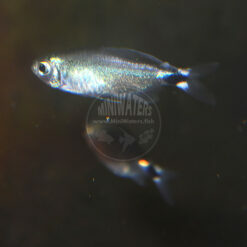 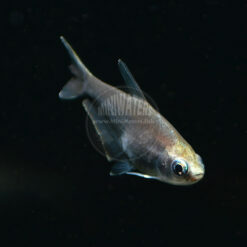 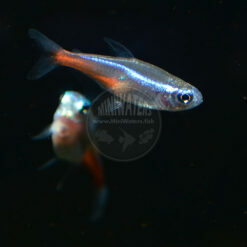 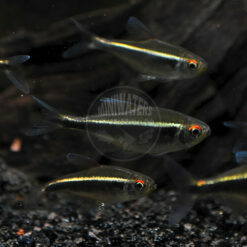 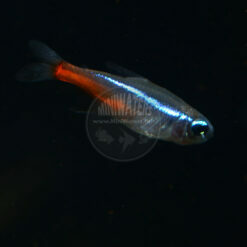 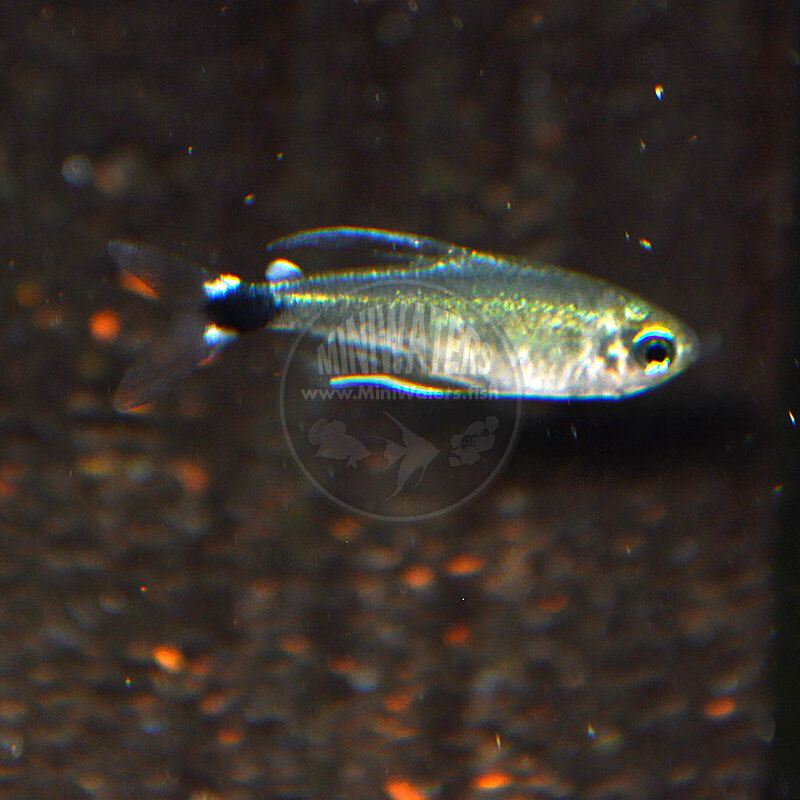 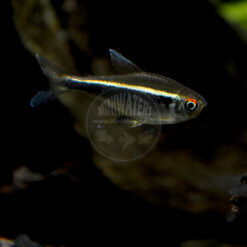 H. elachys is also known as the Reed Tetra. 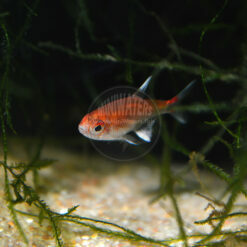 Forgive the photography; they’re just incredibly difficult to photograph being small and yet quite active. 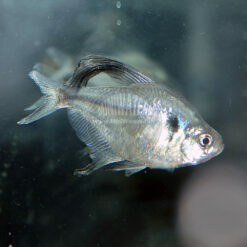 This is a decidedly small tetra, with a maximum size under 1″. 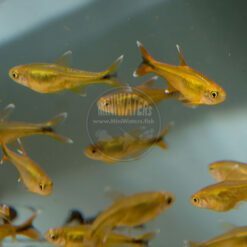 In short, these would make a true showpiece for a small planted aquarium. 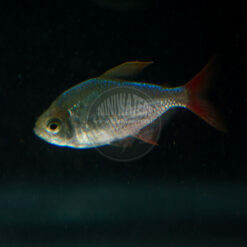 Given their apparent rarity, they’d also make an unusual breeding project. 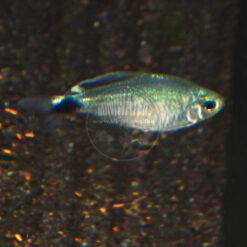 Males appear to be smaller, but with fare more developed extended fins. At this time, the listing is officially for a group of 6; there may be 1 or 2 extra fish included for free if available (please be sure to see our Terms & Conditions regarding free / bonus fish). 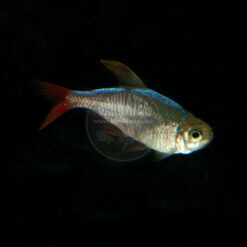 This is one of the more unusual tetras I’ve come across. 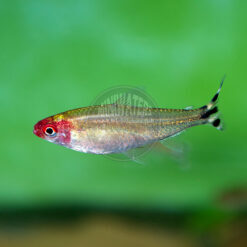 Purchased as the ‘Kitty Tetra’, it became apparent that these were definitely not Kitty Tetras. 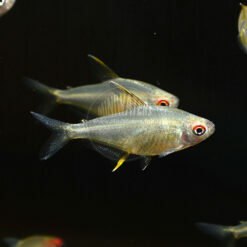 As they fish settled in and grew, it was realized they were in fact the Veilfin Tetra, Hyphessobrycon elachys. 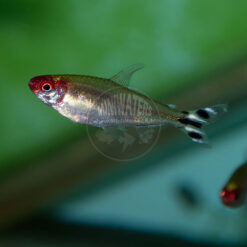 H. elachys is also known as the Reed Tetra. 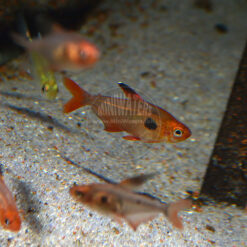 Forgive the photography; they’re just incredibly difficult to photograph being small and yet quite active. 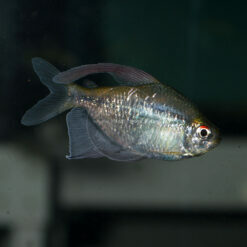 This is a decidedly small tetra, with a maximum size under 1″. 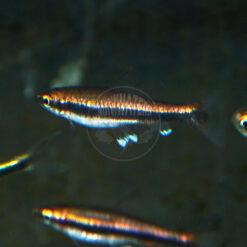 In short, these would make a true showpiece for a small planted aquarium. 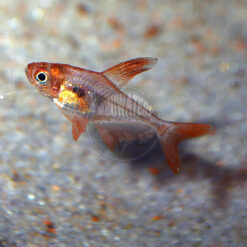 Given their apparent rarity, they’d also make an unusual breeding project. 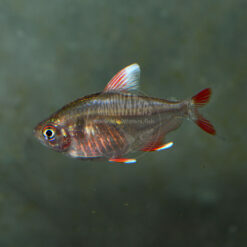 Males appear to be smaller, but with fare more developed extended fins. At this time, the listing is officially for a group of 5; there may be 1 or 2 extra fish included for free if available (please be sure to see our Terms & Conditions regarding free / bonus fish).